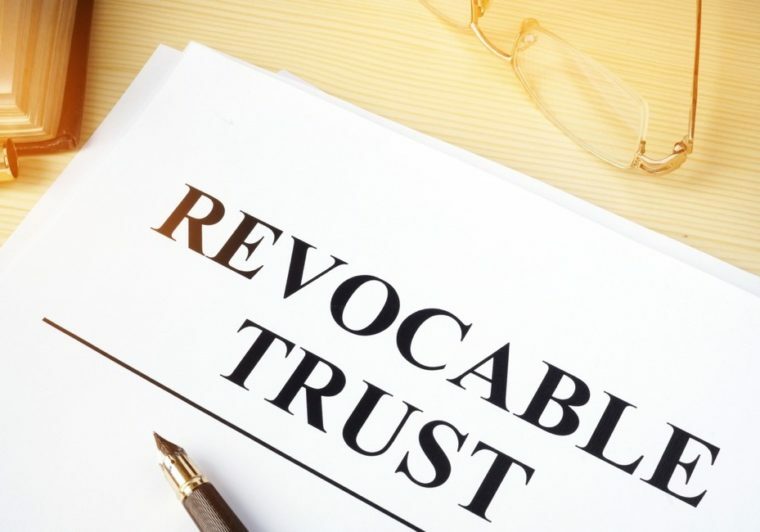 Revocable living trusts are legal entities that allow an individual (known as the “grantor”) to create an agreement that names one or more persons and/or a company (typically a bank or trust firm) as a trustee of finances and assets. This is typically done to ensure that a loyal trustee will be on hand to fulfill the grantor’s wishes, sometimes from one generation to the next. The name “living trust” refers to the fact that it takes effect upon creation of the document, while the grantor is still alive. “Revocable” refers to the fact that the trust can be altered or revoked in its entirety at any time according to the grantor’s wishes. These trusts are most commonly understood as a tool to minimize the impact of (or avoid entirely) probate in Florida, as well as other states. But the benefits don’t end there. From disabled beneficiaries to Medicaid planning to business succession, there are some surprising advantages when you opt for this form of financial management. Medicaid law in Florida can be tricky entities that, but a revocable living trust – alongside a Florida Medicaid Will – can play a useful role in managing benefits effectively. When one partner of a married couple is ill and receives Medicaid benefits and the healthy partner passes away, this form of trust can be profoundly helpful in retaining benefits for the ill partner, even if that spouse is the sole heir to the deceased’s assets. A provision known as “elective share trust for Medicaid planning” allows the trustee to manage the estate such that the ill partner retains their complete benefits or pays a smaller penalty than would otherwise have been required. A revocable living trust is an ideal way to keep assets under your control even if you become mentally or physically unable to manage it. In addition, it can protect the trust’s beneficiaries with disabilities from losing Supplemental Security Income (SSI) benefits. Under current federal rules, SSI recipients can be disqualified from receiving benefits if they come into an inheritance. Even if they disclaim the inheritance, they may still be hit with a significant penalty, depending on the value of their share. A carefully crafted document can avoid this issue with the inclusion of a special needs trust, which allows the individual with special needs to receive the inheritance in a separate account earmarked for “non-Medicaid” use. They will then continue to collect SSI benefits in support of their disability. The trust can also address future plans for disabled adults living in the home, should the grantor pass away, typically with a provision that provides a “lifetime interest” in estate assets for those individuals. Federal estate tax exemptions for married couples can be significant, to the tune of roughly $11 million. Are vocable living trust can be extremely helpful to assist in the transfer of assets between spouses? The trust is also helpful for unmarried filers, allowing them to manage the effects of the Generation Skipping Tax (when grandparents transfer money directly to grandchildren to avoid being hit with estate taxes for each generation as it passes down). It is also a useful tool in charitable trust planning. In addition, a revocable living trust can minimize the effects of the estate tax (or “death tax”), on assets of a certain level. The impact of this tax can be significant – 45 percent paid within nine months of the grantor’s passing. A trust can minimize this tax exposure using such tools as an A-B trust or charitable lead trust. In the modern world, people live longer lives and have more marriages, than in previous generations. This makes it increasingly likely for legal disputes over assets to occur between spouses and children from different chapters of a family’s history. A second spouse may want to shut out biological children from a first marriage. A revocable living trust can spell out the boundaries within which the surviving spouse must act, limit their control of the trust, prevent them from disinheriting children of entities that the first marriage, and move certain assets into a separate trust solely controlled by the biological parent. When a partner in your business passes away or becomes disabled, a revocable living trust can be an important tool in addressing concerns about succession of leadership and ownership. Companies can find themselves in critical financial distress, or out of business altogether, due to estate taxes or other related hardships that result from the death of an owner or key partner. A trust of this kind can appoint a successor trustee and instruct them to continue business operations. In addition, a Florida buy-sell agreement can facilitate the sale of the deceased owner’s interest, which allows the company to operate without interruption. In the end, the simplest reason to use an out biological trust may be that, in many circumstances, it is easier to manage than a will. It allows you to choose anyone as the primary administrator of property after your death, including persons who are unrelated and persons or companies located out of state. Amendments are typically easier to administer in a trust. And, at the most basic level, paperwork can be easier – certain proceedings often require an original will as evidence of ownership, whereas fewer such requirements exist for a trust. Revocable living trusts comprise an integral part of our South Florida estate planning and business practices at the of Padula Bennardo Levine, LLP. Contact our experienced attorneys today for a consultation.